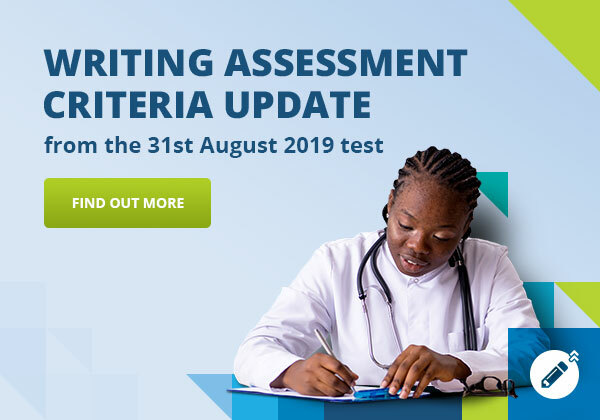 The updated Occupational English Test will take effect on 9 September 2018. Look for the 2.0 label when searching for updated test information and preparation materials. In September 2018, an updated OET will come into effect. The revised test will reflect the changing practices in language assessment and healthcare communication. OET’s delivery and administration platform is also being updated to make OET journey easier, simpler, and more secure for users, including: candidates, recognising organisations, test venues, and assessors. To ensure OET stays relevant to healthcare professionals, employers in a constantly evolving healthcare industry. The OET updates are based on findings from rigorous research processes, extensive consultation with subject matter experts, and ongoing stakeholder and candidate feedback. Some test tasks will change to reflect current research findings as well as feedback from candidates and subject matter experts. The ‘look and feel’ of the test paper will change to accommodate computer-based testing in the future. A new OET results scale providing more granular details will be introduced. Some minor inclusions to the assessment criteria i.e. the assessment of clinical communication skills in the Speaking sub-test. It’s important to know the language proficiency level has not changed. Candidates who take the OET will not find it more difficult nor easier than it is today. The skills and competencies required to achieve target OET scores will also remain largely unchanged. How will this benefit preparation providers? Updated speaking criteria will explicitly test clinical communication skills currently being taught in the classroom which had not been formally assesses previously. It will be easier to compare OET results to other English Language tests. 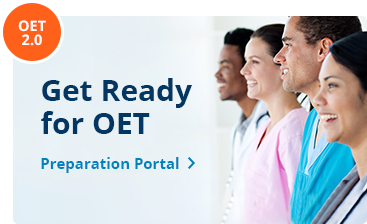 How can preparation providers ensure they are ready for the updated OET? Registrations for the updated 9 September test will be open on 21 June 2018. You should have received an Action Plan and spreadsheet to help you calculate the hours needed to update your course. This included a checklist of official materials you will be able to utilise to supplement existing or newly created in house materials. As you start to implement your action plan, please contact the Education Team for support if you need to. Until the middle of May, you can continue to achieve Preliminary status using the PPP Original training package. From middle of May (now for Premium Provider applicants) Preliminary and Premium status will be given following completion of the PPP2 training package. How will we support preparation providers? New version of PPP – launched on 12 April 2018, with updated content to reflect the OET . New OET Practice Books – with updated sample tests will be ready for purchase from the OET shop in June 2018. First Official OET Coursebook – will be made available when the test is updated in September . Part C will include two longer presentation or interview audio texts with a series of multiple-choice questions to answer. A wide range of international accents will also be introduced to this test. What will be updated in the Reading sub-test from September? Part A will continue to involve scanning 4 short texts but will include some changes to the format. A new Part B will now include six short texts set in workplace contexts. Part C will mirror the current Part B’s format but the 45 minutes test time will now include both Parts B and C.
What will be updated in the Writing sub-test from September? There will be no updates to the Writing sub-test. What will be updated in the Speaking sub-test from September? Establishing what the patient already knows. If you have additional questions about the updated OET, please don’t hesitate to email the OET Education mailbox.